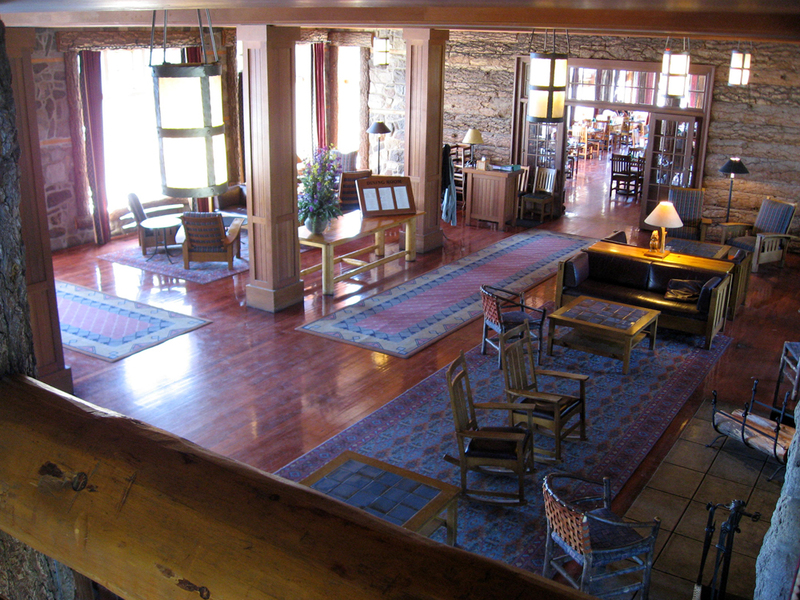 At the left is Crater Lake Lodge’s Great Hall. The doors toward the upper right lead to the dining room. Outside the doorway at the upper left is a terrace overlooking Crater Lake. 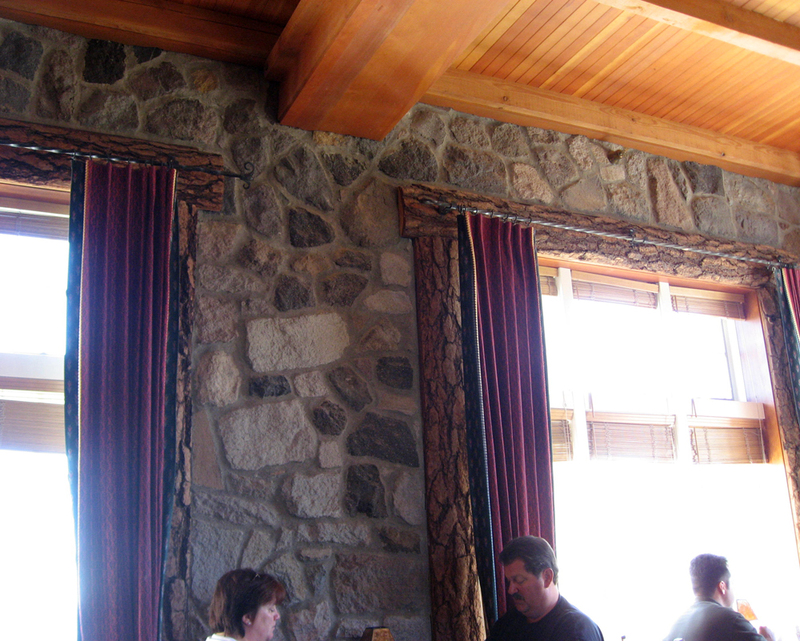 The terrace runs the full length of the lodge, including along the Great Hall and dining room. I was standing on this stairway when I took the above photo of the Great Hall. The opening here leads to the check-in lobby. 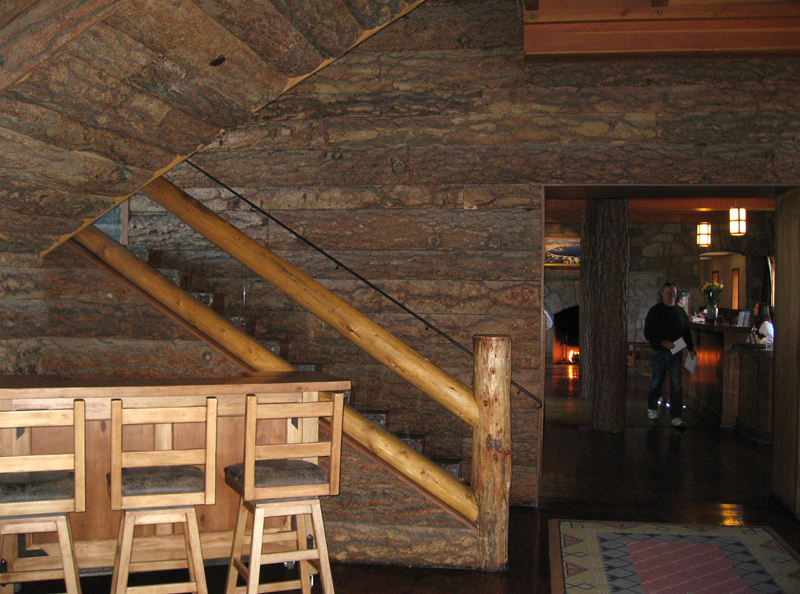 At the far end, past the lobby, you can catch a glimpse of one of the lodge’s impressive fireplaces. Even further, past the lobby, is a hallway and elevator leading to lodge guest rooms. This rustic window frame is inside the dining room. Through these windows is a view of Crater Lake. Bill and I stayed at the lodge one night, also having dinner at the lodge. The dining room menus are available at this link. We shared the brown sugar-rubbed Pan Seared Wild Alaskan Salmon (currently not on the menu). This salmon tied for second place in our favorite-meals-of-the-trip contest. 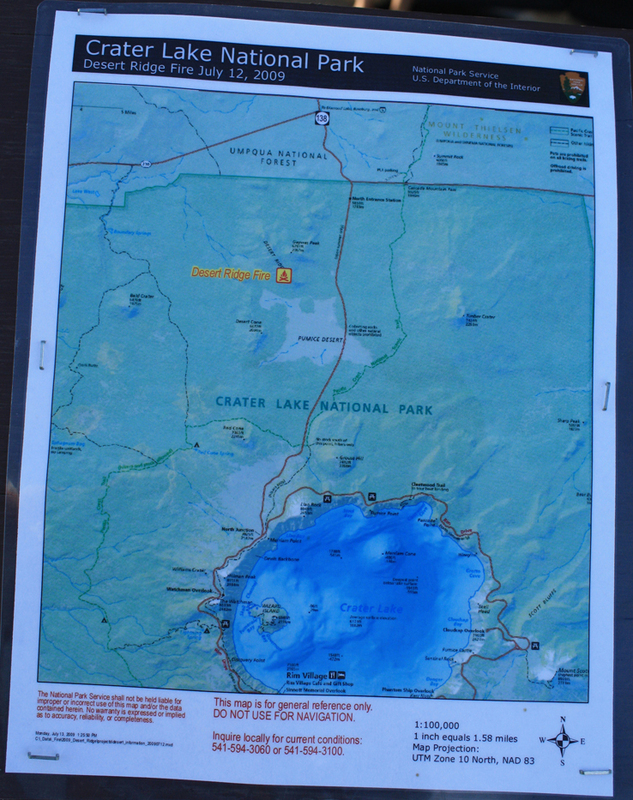 The next Oregon post will include outdoor photos of Crater Lake, including the sunrise. * Moon Oregon published by Avalon Travel Company, copyright 2007, p. 404. This entry was posted on September 10, 2009 at 12:02 am and is filed under Oregon, Travel. You can follow any responses to this entry through the RSS 2.0 feed. You can skip to the end and leave a response. Pinging is currently not allowed. Mmmmmm, it all sounds wonderful! GREAT choice! And the brown sugar-rubbed Pan Seared Wild Alaskan Salmon–heavenly! More painting, eh? You’ve got me curious.